Halides are formed by combining a metal with one of the five halogen elements, chlorine, bromine, fluorine, iodine, and astatine. Many of these compounds will dissolve in water. Because of this solubility they usually occur only under special conditions. Halite (NaCl) or rock salt is an exception to this notion. It is so common that it is found in huge deposits all over the world. It is a mineral that has many uses including making table salt. 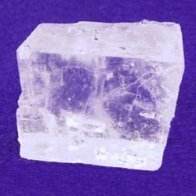 Fluorite CaF2 or calcium fluoride is another common halide mineral. 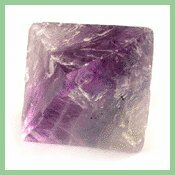 The primary use of fluorite is in the making of steel and aluminum. It serves as a flux making the molten metal flow more easily. Fluorite is a popular specimen mineral for collectors. It comes in nearly every color of the rainbow, sometimes several colors in the same piece creating a striking appearance. Sylvite is similar to halite in that is that there are huge beds deposited by ancient seas. Because it contains potassium sylvite is used as a fertilizer.